Centurion has appointed Tom Hannaford as its General Manager of Operations East. Mr Hannaford, who joined the business in February, has more than 25 years’ experience in transport, logistics, supply and procurement including managing and executing contracts within the mining, utilities and retail sectors. Mr Hannaford joins Centurion from Coles Australia where he managed the transport and logistics network for their supermarket outlets across Queensland and Northern NSW. Prior to that he worked at Linfox as their GM Resources and Industrial for the Queensland Region. Centurion Chief Executive Justin Cardaci said Mr Hannaford is an integral part of its East Coast expansion plans following the company’s successful move into Queensland and South Australia last year. “Tom has considerable experience in the regions and industries in which we operate and this will be critical to the business as we look to consolidate on a great first year of operations in the east. 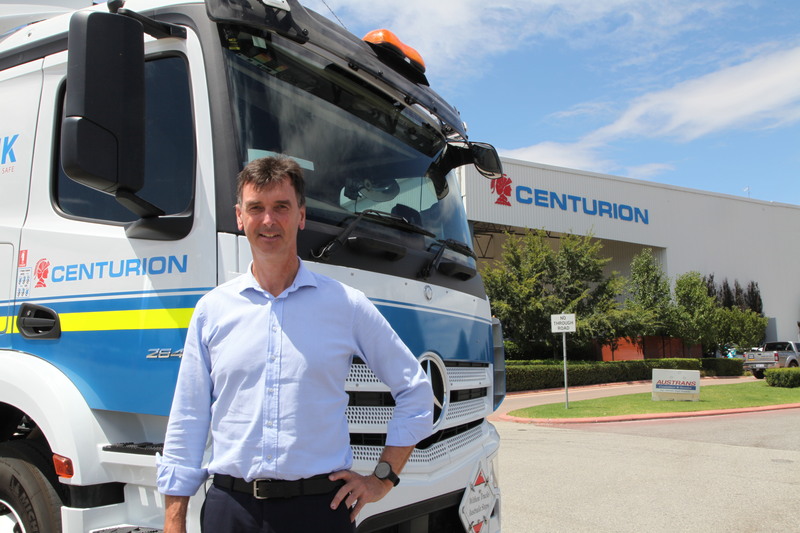 Mr Hannaford said Centurion is a valued and respected organisation with an exciting vision for its future in the transport and logistics industry. “Centurion has been operating for 50 years and is a financially strong and stable business that understands the transport and logistics industry and where it wants to go.